New developments provide homeowners the opportunity to build their own homes, but there are some factors to be aware of first. 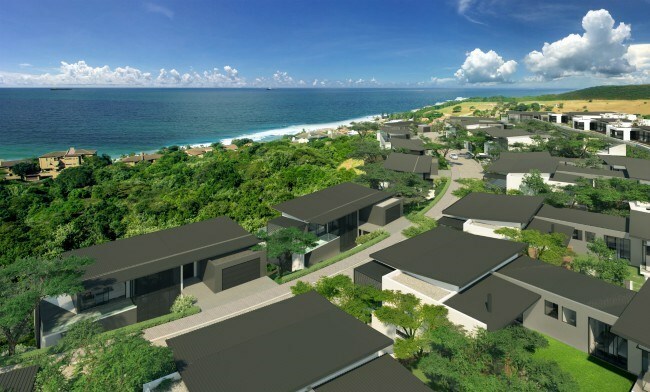 With the burgeoning rate of property development along the KwaZulu-Natal northern coastline, several new estates have launched recently, providing homeowners more opportunities to build their dream homes. Gareth Bailey, Pam Golding Properties area principal for Durban Coastal, says the list of opportunities close to Umhlanga includes the likes of ‘Signature’ and ‘Gold Coast’ – both in the burgeoning new Sibaya precinct near Umdloti, ‘Enigma’ in Umhlanga Ridge and more in Ballito, Salt Rock and beyond, further up the North Coast. Says Bailey: “For many homeowners, this is the first time that they are engaging in this process. So how do these owners avoid common pitfalls and ensure success by realising the lifestyle and economic objectives that motivated them at the outset? “It goes without saying that location has a massive impact on the enjoyment of the built home. The value of a home’s surrounding environment cannot be underestimated and has a dramatic effect on the ultimate value proposition, including price. In fact in some cases, it may better to trade the quality of a site within an estate, for the location of the estate. According to Mark Ussher of Mark Ussher Architects, buying land without considering design or town planning implications creates unnecessary challenges and costs for clients in realising their dreams. A simple example is buying a site with the intention of creating a spacious single-storey home. Other site-specific considerations include house orientation, piling conditions, building cost and energy efficiencies, while town planning considerations include floor area ratio (FAR), coverage, building lines, servitudes and height restrictions. Without professional input, it is easy to overlook these factors which should really form the groundwork for any home build. Notwithstanding the above, prime sites usually attract higher price tags and trade-offs between price and position can make sense as long as homeowners make these decisions from informed positions. For most home owners, cost is a crucial factor that will inform their home building decisions. Ussher says while cost per square metre is often bandied about, “it is an unreliable method for approaching building budget as the relationship between cost and size is non-linear.” Accordingly, most professional quantity surveyors and architects prefer to steer clear of this metric. The primary reason for its shortfalls can be explained by economies of scale. A disproportionately large amount of the total budget is consumed by the cost of the land, kitchen, bathrooms and swimming pool. Once these are spoken for, a surprisingly smaller portion of the total budget is spent on line items like brickwork, which determine the all-important use of space and flow of a property. For example, a 300sqm home may cost R3 million to build, but adding 100sqm does not add 33% to the build cost – it actually costs far less. This is important given that half a metre can often make a world of difference to the design of internal spaces and ultimately the value of the finished home. By fixating on the metric of price per square metre to try and control total cost, home owners often misplace their cost-saving initiative. Sage advice is to build spaces according to the size of your dreams and cut back on fittings which can always be retrofitted at a later date. Seaside homes aren't the only waterfront locations that buyers should consider. Lakes, lagoons, canals and dams have much to offer home buyers. Lightstone property data shows the most popular suburbs in Johannesburg inner city in terms of property price growth.